Today, November 8th, the International Astronomical Union officially approved a proposal and announced that one of the minor planets discovered by their team is now officially named after Roger Waters. As detailed on Wikipedia (we weren't sure what one was, so needed to look it up), a minor planet is an astronomical object in direct orbit around the Sun that is neither a planet nor exclusively classified as a comet. Minor planets can be dwarf planets, asteroids, and other objects. 495181 Rogerwaters is a main-belt asteroid located between Mars and Jupiter with an estimated diameter of around 2km. 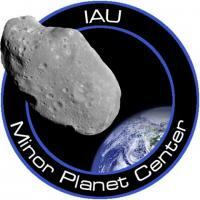 For those who are after more (technical) information about this minor planet, and to see its orbit, you can find it at MinorPlanetCenter.net. Our thanks to Michal Zolnowski and Michal Kusiak, who first discovered the object seven years ago, and who got in touch today with the news about the naming decision.